Editor’s note: We honor birds & bats slaughtered by industrial wind turbines. We honor sea-life driven mad by turbine infrasound. We honor domestic animals (horses, cattle, sheep, goats, dogs, cats, alpacas, etc.) that have delivered malformed fetuses–or were unable to conceive–or refused to nurse, or were otherwise tormented to distraction (and sometimes, to death) by industrial wind turbines. 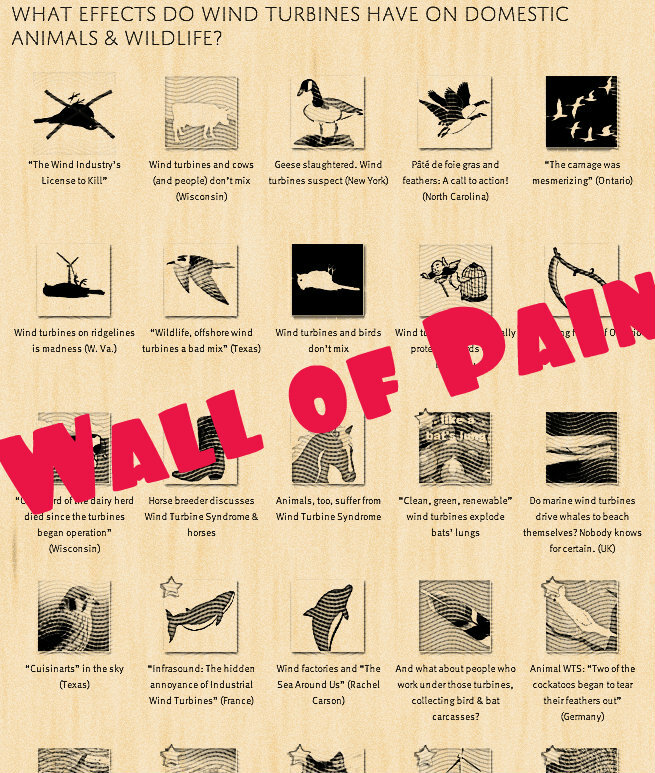 Click anywhere on the image, below, to visit this Wall of Pain.